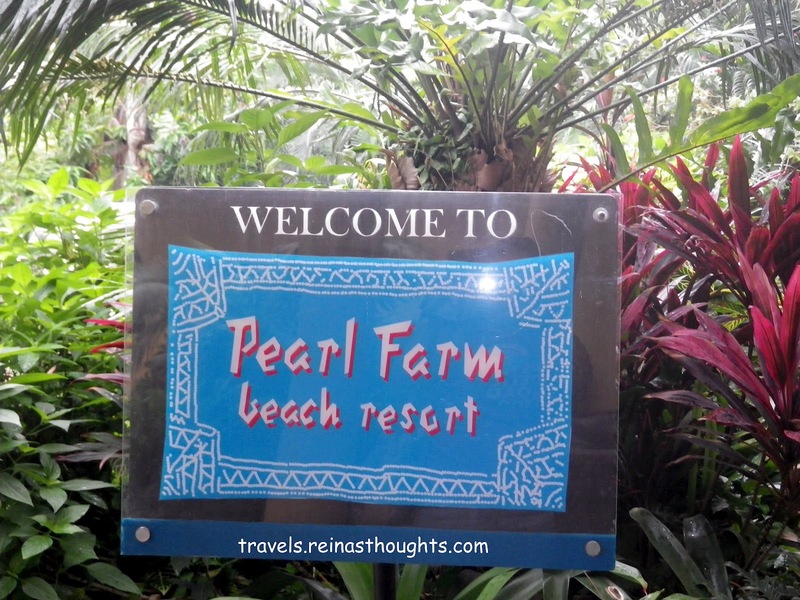 Welcome to Pearl Farm Beach Resort. It is located in Island Garden City of Samal or IGACOS. Samal Island is the big island in front of Davao City. 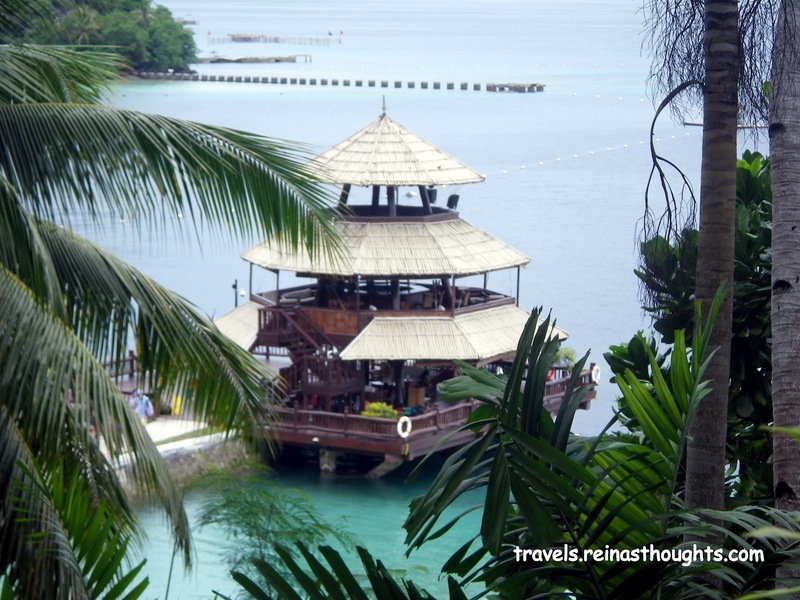 Pearl Farm is a famous tourist destinations here in Davao. I was only able to go to this place because this is where the team building of the company has been held. Above is the Parola Bar. It is the reception area of the beach where the boat would also dock. We were greeted here with the accommodating staff of Pearl Farm. They had given us fresh juice to drink while an orientation had been given about the resort. Maranao Restaurant of Pearl Farm served delicious meals. 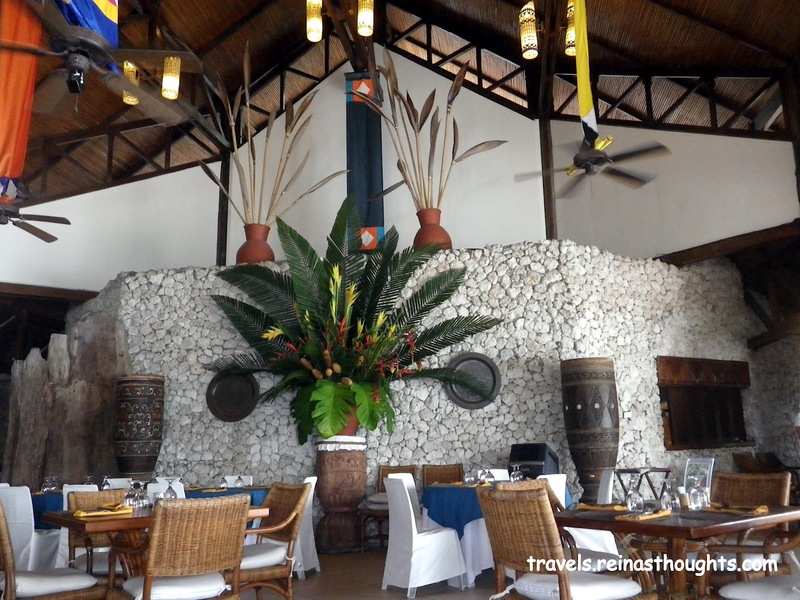 In our day tour package, it is already inclusive of eat-all-you can lunch that we were really full when we get out from this establishment. Below is only one of the many maps that you will find along the way while strolling Pearl Farm. I am sure you will not get lost with this very informative maps. This is the infinity pool of Pearl Farm. If you do not like swimming in the pools the beach is also very conducive for swimming with its white sand and clear water. 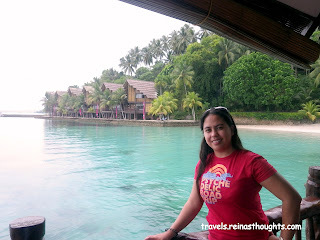 Malipano island is a nearby island which is also owned by Pearl Farm. 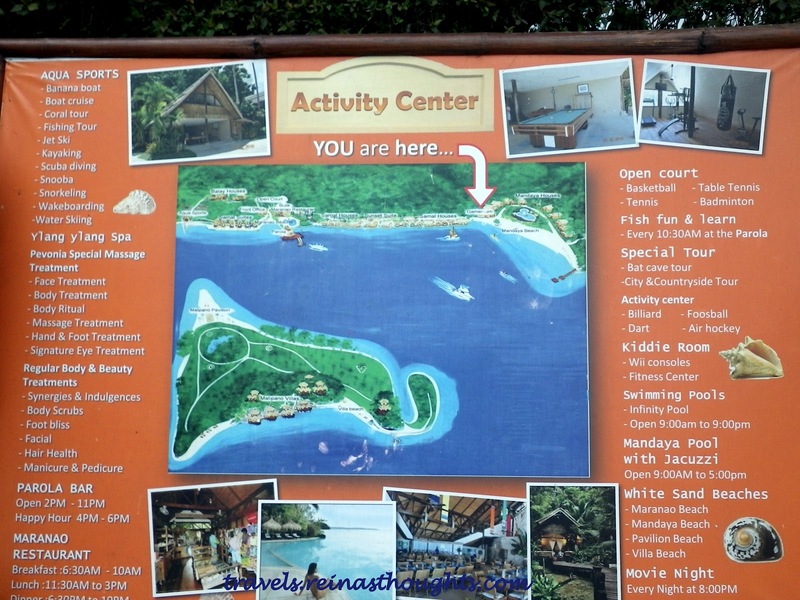 This is where their sporty equipment and vessels are located for more fun activities. I want to try riding on this boat but I was not able to do so. This is what they call a taxi boat. Same as a regular taxi on land, this would take you to any accessible locations you want to go. If you have time and money, visit Pearl Farm. A whole day tour is worth 1,950 pesos or 2,500 pesos during holidays and it is already inclusive of a eat-all-you-can buffet lunch. If you are already in here don't forget to take some pictures as a remembrance. It was a long trip that took two days and two nights of travel. 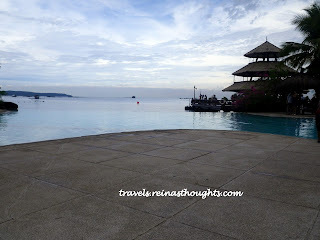 We had been able to have a land trip from Manila to Davao because my companions bought new cars and preferred to transport the cars by having a land trip than shipped it. 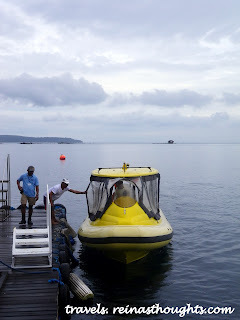 From Manila to Davao, we had been able to sail in two ferry boats, pass by to different cities, travelled miles of road and pass the three parts of the Philippines, from Luzon, Visayas and to Mindanao. Our travel started specifically from Paranaque, Manila and we don't have a map with us but we make sure to look for signboards. From Paranaque, we took the SLEX road to Calamba and to Batangas. We pass by San Jose and San Pablo City. 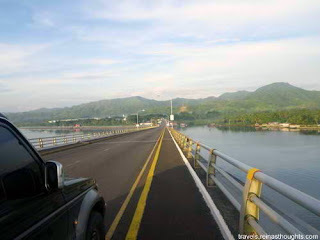 Then, we entered the Quezon Province and pass by the municipalities and cities of Candelaria, Sariaya, Lucena City, Quezon Forest Park, Gumaca, Lopez, and Caluag. 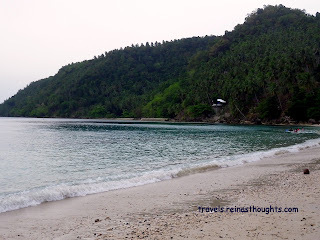 The most unforgettable road on this part is the Quezon Forest Park which is a DENR preserved park. Our last stopover in our field trip with the kindergarten students was at Kathleen's place in Cannibad, Samal. 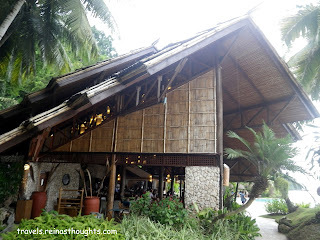 Cannibad which is famous for being a secret paradise in Samal has this modern resort known as "Kathleen's Place". It was owned by a retired German soldier who was married to a Filipina from our hometown. He had been very accommodating to us and gave us discounts. The standard entrance fee in Kathleen's Place is P50 per person, tent rental with beddings is P350 and this cottage is P2,000 per night. I like Cannibad for having a very solemn beach. It is not crowded and the beach is very clean and well preserve. Even at night, the place is so peaceful wherein there are no noisy parties, karaoke noise and noise of alcohol drinkers. It is just like being in a remote island.